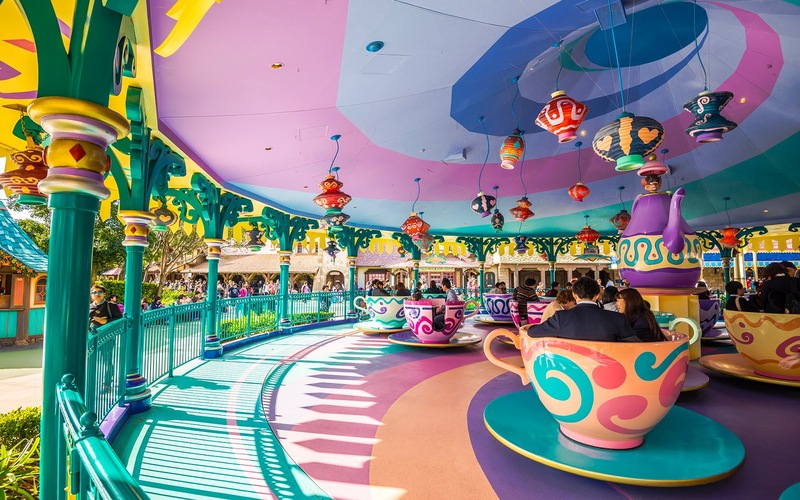 Tokyo Disneyland, like most of the Magic Kingdom parks, has a tea cups ride. 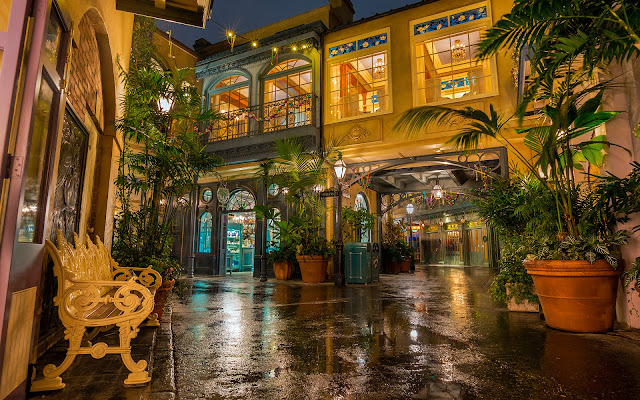 And like most of them (original Disneyland being the exception), it's covered. 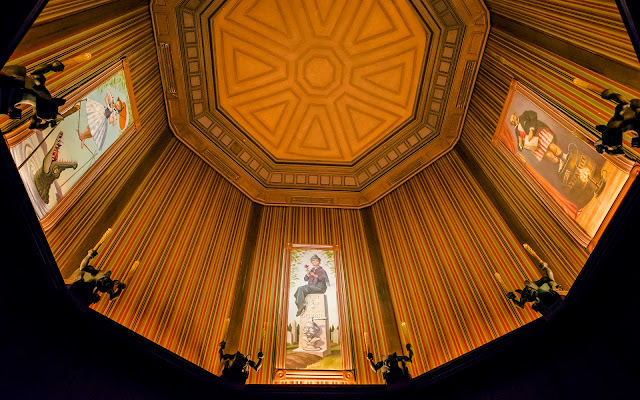 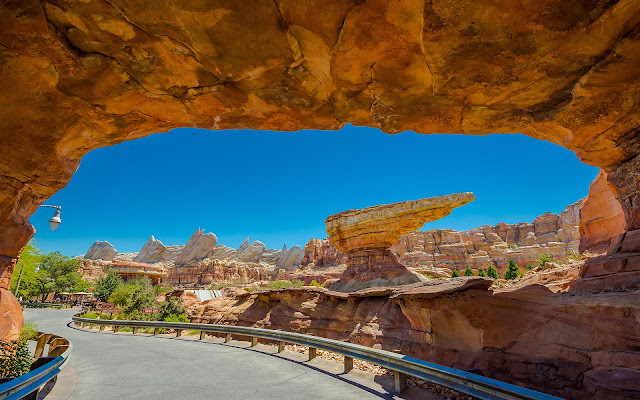 And like two of the covered versions, the canopy is opaque and not made of glass (that's Disneyland Paris). 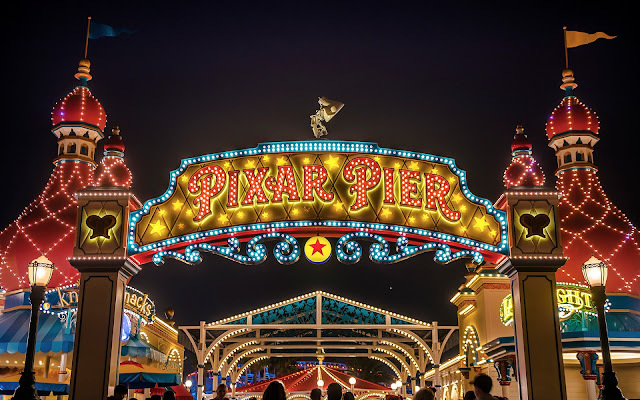 And like one other, it has more than one color (Hong Kong Disneyland's is monochromatic, with an accent color serving as trim at the supporting truss structure.) . 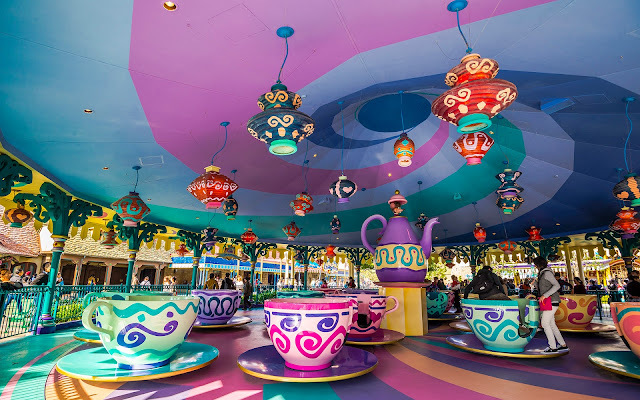 But unlike the remaining (Walt Disney World), the ceiling of the tea cups shade structure is painted in a swirl of three colors, playing off the colorful pastels of the tea cup ride vehicles below. 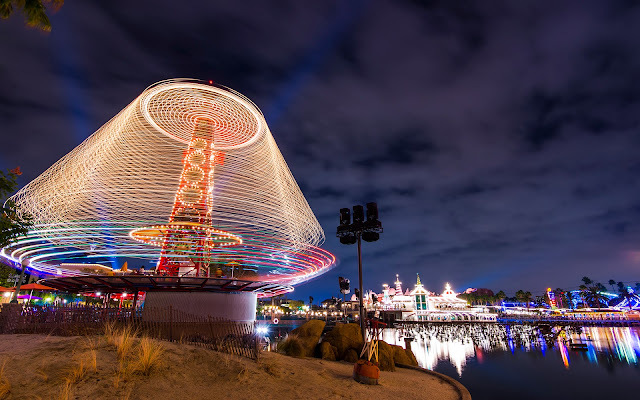 And what does that mean? 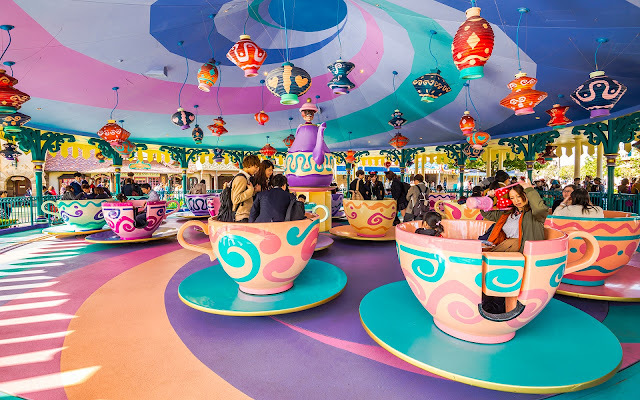 It means that Tokyo Disneyland's Alice's Tea Party ride provides a most colorful photo op of all the tea party attractions!